The common wisdom here is that you should just start the story right in the middle of the action. If you need a lot of set-up, there’s probably something wrong with the story. Why bore the reader with a prologue? While I have the utmost respect for Mr. Leonard, you have to keep in mind that he writes in the crime genre. These are stripped-down, fast-paced books that don’t need a lot of world-building. I’m not so sure his advice applies as well to the fantasy genre. George R. R. Martin, for instance, uses a prologue in each of his Game of Thrones novels, and those seem to be well-received. I like how Martin sets up each book with a group of throwaway characters that usually come to a grisly demise, giving the reader a glimpse of the ominous forces heading the main characters’ way. In fact, I liked it so much, I patterned my own prologue after it. When predicting the lethality of a fall, your first concern should be distance. Some falls are short—mere stumbles that might leave the fallen with a skinned knee or a reddened face. Other falls are not so inconsequential. The key is distance—fall far enough, and things get broken. But not all great falls happen at once. Some begin as a misstep, turned into a stumble, tilted into a sprawl; before the fallen might even notice, they have plummeted headlong into an abyss. It is only upon reflection, when former acquaintances look down and whisper, “Look how far he has fallen…” that the true depth of the hole is revealed. Sam was in deep. The mouse scratched at his fur with a dirty nail. His stomach growled, but it wasn’t hunger that drove him. The rumbling in his belly was the least of his problems—the sickness was upon him. The fix, the fix, always the fix. Sam wandered down the alley. He knew he should eat something; a little bite might hold him over until he could satisfy his greater hunger. He raised a trashcan lid and peeked inside. He replaced the lid, ignoring the trembling in his paws. At least it was summertime. His ragged clothes would provide little protection from the cold of winter, but on a summer night like this, he was almost glad for the holes in his shirt and pants. He looked down the dark alley. Back here in the shadows, he was safe from the straights, but the alley held its own perils—namely addicts like himself. He knew there was nothing more dangerous than a junkie in search of a fix. He surveyed the darkness, looking for any signs of movement. He should have been relieved, but relief was impossible in the throes of withdrawal. As the first telltale signs of nausea crept up his throat, he steadied himself against the alley wall, fighting the urge to vomit—it was no use. He retched violently, his tail curling with each sharp intake of breath before whipping behind him with every heave. Gasping, he stood, wiped his mouth, and blinked his watery eyes. It hadn’t always been like this for Sam. Just last year he had been studying law at the well-regarded Langley University, working nights to pay for the expensive education. The coursework was demanding, and there was little time left for studying, let alone sleep. Sam’s grades had been slipping. His professors had warned him he might not make it to the bar exam. But he had gotten lucky; one of his fellow students had introduced him to a powder. A little pick-me-up, he had called it. At first, Sam thought the powder a godsend; he could stay up for days if needed. But just a few months later, he found himself more interested in the powder than his books. The powder was expensive—far too expensive for a law student—and he had since replaced it with a cheaper yet more potent concoction. Brown displaced white, and Sam found a new purpose in life. No longer did he worry about tomorrow. There was only today, only his next fix. The law degree faded to a distant dream, as did his job and apartment soon after. On the bright side, Sam no longer worried about yesterday, either. Shame was for those who dwelled on the past, and Sam could no longer be bothered. He wandered back up the alley. The cramping in his stomach made it difficult to think. If he could just eat something, maybe his head would clear long enough to solve his greater hunger. The bakers will have to throw out their day-olds soon, he thought, but not until morning. He looked at his wrist before remembering he had sold his watch long ago. The desperation inside him was growing, nearing a panic now. He rounded the corner. Lanterns sat atop the lampposts, lighting the storefronts along the cobblestone street. Most of the shops were closed at this time of night, but the theater district stayed open late. As the playhouses and concert halls let out, people streamed into the streets—wealthy foxes walking paw in paw, packs of drunken ferrets laughing and shouting obscenities, the lonely gophers with the weary eyes—all wandering into the surrounding pubs and eateries. “Spare change?” Sam would ask, but they all passed by him as if he were invisible, a ghost no one could see or hear. Defeated, he sank to the ground with his back to the wall. Maybe I’ll just curl up and die. That wouldn’t be so bad, now, would it? He hugged his knees to his chest and closed his eyes. “Looking for something?” a deep voice asked. Sam looked up at the stranger standing before him. The raccoon wore a three-piece suit, the kind bankers and politicians wore, but the gold rings on his fingers told Sam this was no banker. He briefly wondered how much he could get for the jewelry, but he quickly discarded the idea—the raccoon was at least a head taller than Sam, and much heavier. And there was something menacing about the stranger; he was smiling, but Sam didn’t find it the least bit comforting. The raccoon looked around before discreetly opening his jacket. Sam glimpsed a glass syringe hanging from its silk lining. The raccoon quickly closed it up. As the raccoon headed into the back alley, Sam considered his options—go with the stranger or suffer the hunger. As usual, the hunger cast the deciding vote. Sam followed the raccoon into the dark alleyway. The two hadn’t walked far when the raccoon stopped between a pair of garbage cans. He looked around to see if it was clear, his eyes glowing from the shadows. He reached into his jacket and brought out the syringe, rolling it between his thumb and forefinger. Sam’s eyes followed it as if he were hypnotized. He licked his lips and scratched at his neck. Sam took the syringe. For a brief moment, he thought he heard someone coming. He looked up the dark alley, yet he couldn’t see anyone but the smiling raccoon. His head screamed run, but the sickness screamed louder: The fix, the fix, the fix! Sam pulled the belt from his pants and sat with his back to the wall. With a practiced efficiency, he tied the belt above his elbow, holding the syringe between his teeth as he tapped at his forearm. Finding the vein, he jabbed the needle into his arm. Dark clouds billowed in the glass barrel as his blood rushed up to meet the golden solution. His tail twitched behind him in anticipation. He hesitated and looked up at the raccoon, who just nodded at him with that unsettling smile. Sam pushed the plunger and watched the murky elixir disappear into his arm. It was good. Sam leaned his head back against the wall and closed his eyes. A rush of warmth welled up inside him. Waves of ecstasy rippled across his emaciated body, his dirty fur undulating with the rhythm. The hunger and pain vanished, replaced by a pure sense of pleasure. The suffering, the shame, the despair—all washed away. For the moment, Sam’s endless quest was over. Sam blinked his watery eyes. His world was losing focus, getting blurrier. The raccoon now seemed far away, as if he were standing at the end of a tunnel. He couldn’t be sure—everything seemed so disjointed, as if he were dreaming—but he thought the raccoon reached into his jacket and pulled something out. The raccoon knelt down and placed the bag over Sam’s head, but Sam did not resist. His world went black. He felt a pair of paws lift him. “Grab his feet,” a second voice said. Sam sensed he was being carried, floating away in the darkness like a particulate in his bloodstream. Sam did not know where he was being taken. Sam did not care. Want to read more of The Woodlander? The ebook is available at Amazon. This entry was posted in Writing and tagged fiction, literature, novel, self-publishing, writing, writing novel fiction. Bookmark the permalink. Haha, I might be a better example of what not to do! But Elmore Leonard’s 10 rules are great advice. Also, check out Stephen King’s On Writing. Thanks, I’ll look at those as well. Hey, Kirk! Just now noticed that The Woodlander is out and running – solid choice on the cover, and the formatting looks great! I’m also in the pro-prologue camp. They allow you a window to show something different from the main body, whether in style or perspective, in an established “safe zone” that readers will understand may not be congruent with the rest of the book. If you can make good use of that opportunity, it’s not something to throw away lightly! As for prologues, I’ve started work on two of the sequels (yeah, I know, but there’s a story behind that), and they both have prologues. I think they set the stage and build the mystery, so I’m glad to hear you like them, too! Two sequels at once, eh? (>^-‘)> I look forward to hearing about them! Well, not simultaneously! I began what’s now the third book before I realized there was another book in between. The second prologue is included at the end of The Woodlander as a teaser. Your prologue works for your story as it sets the tone and give a taste of what is to come. I also like your beginning bits with the chapters set in the present (or at least that’s how it appears to me). Admittedly, I’m still only half-through your book (not a slow reader, just splitting my free time between reading and catching up on Game of Thrones). Concerning prologues, the question of do/do not use them made me curious as to whether one of my favorite authors, Tom Robbins, used them (I’ve not paid much attention in the past). He has used a prologue in some of his novels, but calls them a “preface,” a “prelude,” gives us a prologue of sorts by skipping through time before the beginning of the story, or begins one of my favorite books with an interesting description/story of the beet. Another one of my fav books, Lamb by Christopher Moore, begins with a prologue. 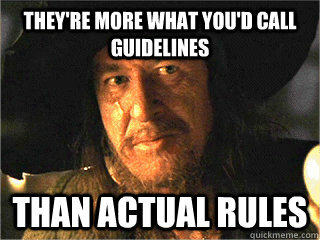 Understand the rules first, and then throw them out the window and do what works best for your story. Game of Thrones? The books or TV show? The TV show is pretty great as well, but I haven’t watched season 3 yet. I hear they’re splitting the books up between seasons, which makes a lot of sense given their length. As far as the “rules” of writing, now that I’m self-publishing, I pay much less attention to them. Before, when I was pursuing a traditional publishing deal, I cared very much about things like ideal word count and so on. And rightly so. You have to get past the “gatekeepers” in that world, and you can be assured they care about those rules. I imagine some agent or editor thinking, “Oh, he’s over 80K words. Straight to the slush pile!” But one of the wonderful things about self-publishing is you can bypass the gatekeepers and go directly to the readers. Just write the story you want to tell! Someday I’d love to read the books, but right now I barely have time to watch the show. Plus, I’m four episodes behind in Falling Skies, I am WAY behind in The Walking Dead, and Josh wants me to start watching Continuum… You wanted to know all of that, right?